HomeBeginner Quilt LessonsOnline Beginners Quilt Course – Participants Best Work! Learn how to quilt you through my comprehensive Beginners Online Quilt Course. 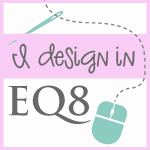 Its a self paced course and if you need support you can ask me questions through my facebook page: no3quiltstudio or you can join my no3quiltstudio group to discuss.